We are delighted to confirm that the discount has been extended for a second season and we hope to see more of our members taking advantage of this special offer. Just head down to the Guiseley establishment to secure your discount on any home matchday with the offer available both pre and post-match. 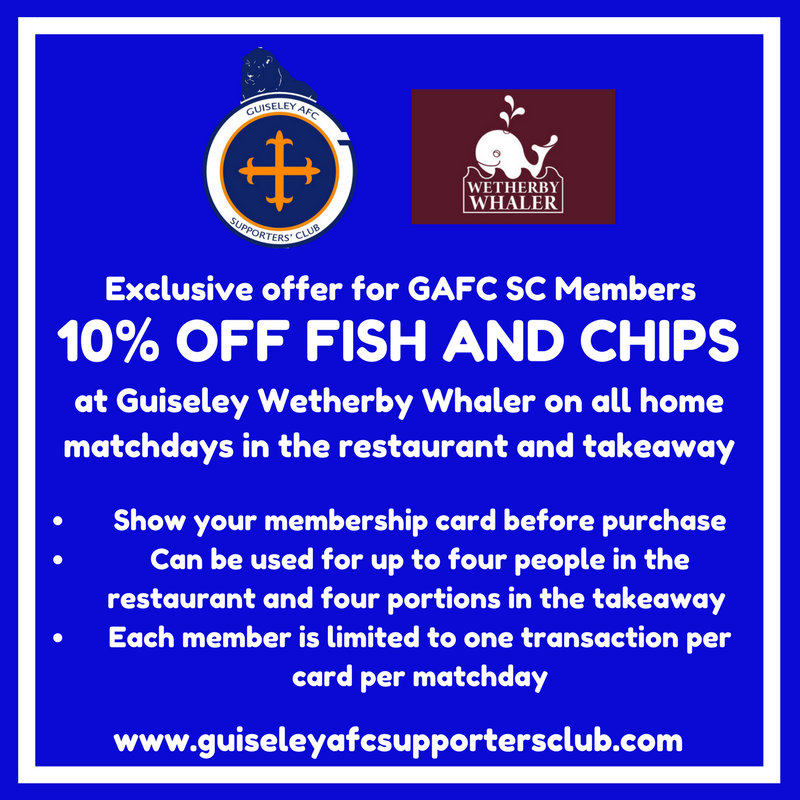 In partnership with Wetherby Whaler you can get 10% knocked off the price of Fish and Chips in both the takeaway and restaurant. Even better the offer is applicable to four portions in the takeaway and up to four people in the restaurant with one membership card per transaction. Please note each member is limited to one transaction per card, per matchday.